2+ years and still counting . . .
Yp,    "pp,,pP  pp       pp  pp  pp       pp  pPP'""'"""
OMG T2 starts tomorrow, I'm probably gonna fail in Random Processes this time. 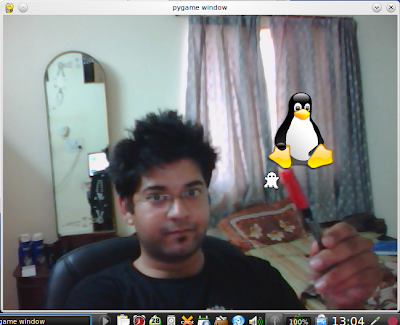 But before I start preparing, I had to try out the tempting Camera Module of PyGame. 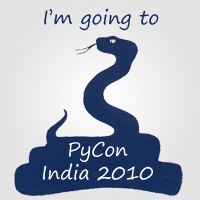 PyGame has pretty cool stuff under pygame.transform and pygame.mask, which makes the task of thresholding very easy. I came up with an interactive Tux based on the "Capturing a Live Stream" code in the Camera Module Introduction. My program tries to detect red colored objects, finds the centroid of such points and draws a ghost (find in your /usr/share/icons/oxygen/32x32/apps/) and makes Tux (/usr/share/icons/oxygen/128x128/apps/tux.png) run away from it. Kalman Filter would be more interesting.